Let this working horse ranch work for you! Income-producing training facility, created by an experienced horseman for an efficient, streamlined operation. Offering includes a Use Permit allowing up to 84 horses and a commercial equestrian business, 3 barns, fenced paddocks, arenas, walkers, office with viewing deck, plus a private, upgraded owner's home & caretaker residence overlook the entire operation. 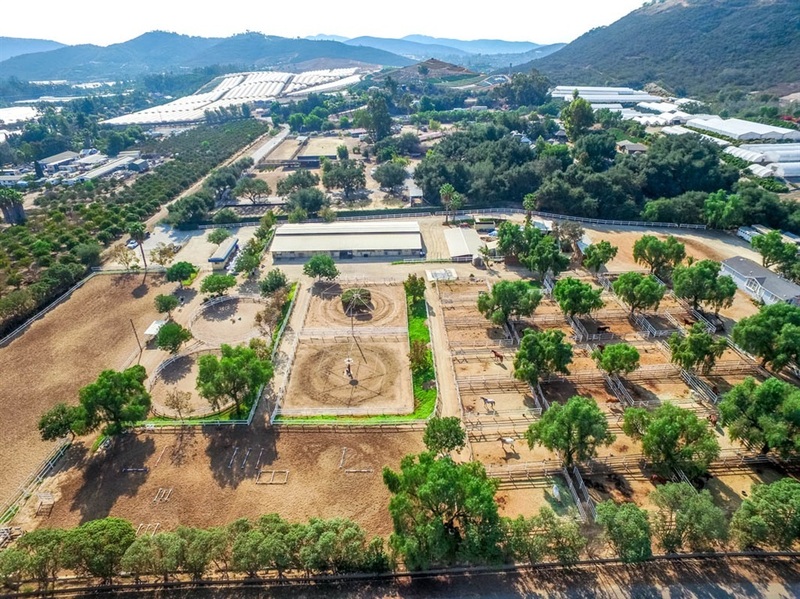 Suitable for a professional, an investor, or anyone desiring the equestrian lifestyle and income., Offering includes a Use Permit allowing up to 84 horses and a commercial equestrian business, 55 barn stalls in 3 separate structures including a double loaded breezeway 40 stall barn, tack rooms, 28 fenced paddocks, large 250 x 100 ft arena, two 60 foot round pens, trail (or dressage) arena, two automatic walkers (6 horse and 8 horse), an office with viewing deck, restroom, etc. Property is fully fenced and security gated. Circulation and parking allow room to turn around a large rig and to park horse trailers on site. Entire facility is well planned for efficient delivery and storage of feed and bedding, manure disposal, etc. Even the drainage is constructed and set up for a smooth operation. Every operational detail was considered so the next owner can step right in and enjoy.